Part of me wishes I had a camera crew following me around next week so I could not only be present and in the moment, but also be able to capture every little moment of my son’s first day of Kindergarten on camera. Luckily I got to talk with a former Kindergarten teacher about my fears and concerns, and she was able to give me some wonderful advice and tips. So if you are like me and you’re about to become a parent of a Kindergartner for the first time, keep reading. There are so many things to take in during this time in your life. It can be hard to show emotions on the first day of Kindergarten, but it’s important that you stay strong. Your child is watching you and can feed off of your emotions very easily. A lot of parents are shy about asking the teacher questions. 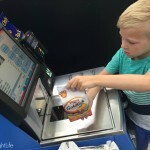 He or she is going to spend at least 40 hours a week with your child, you should be asking as many questions as possible. Please do not panic if your child does not know everything their “supposed” to know. While kindergarten is an important academic year, not every child comes in on the same level. It might not click that you need to pay attention to every letter or phone call that comes your way this year, but it’s super important. Check out your child’s backpack and folder as much as you can, so you do not miss any pertinent information. Don’t just sit back and let kindergarten happen to your child. Jump in there and get involved as much as you can. Get involved by volunteering in your child’s class or eating lunch with your child once a week. Your Kindergartner is going to have a lot to tell you this year. Make sure you are listening with your head and your heart. Your child is going to have so much going on in those first few weeks of kindergarten, but there is something you must stress. Responsibility is a big thing during the big first year of school. Children will learn a lot about responsibility, but it’s best if they learn the concept of it from you first. I know many moms are probably freaking out about their child entering kindergarten. Do they know enough? What if they don’t know how to read? Stop thinking about what your child might not know and pay attention to what they do know. Their brains are incredible and sometimes we take that for granted. Now that you are going to have less time with your child at home, it’s important to make each moment count (Not that time didn’t matter before because it did). However, time just got a little more precious. It’s important to help your child get ahead this summer, but it’s also important to let your child’s brain rest. Your Kindergartner is going to learn a lot this year, there’s no doubt about that. Don’t forget to let your kid be a kid. Show your child that there are times in life to be serious and times in life to have fun. 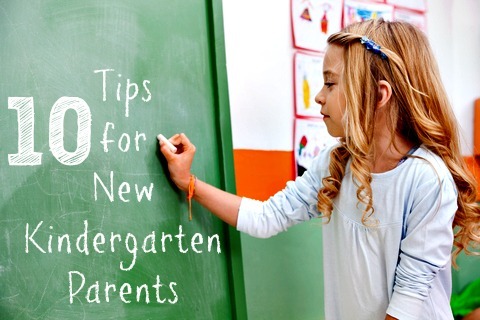 Do you have any tips for new kindergarten parents? How did your child’s first day of school go? 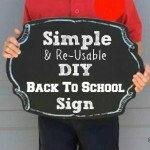 A Simple Back To School Sign That You Can Re-Use Every Year! We had a “Boo Hoo Breakfast” for the Kindergarten MOMS on the first day of school every year LOLThe kids were always fine – it was the moms that were a mess. Hang in there Mom! always stay connected to the teacher. you will never know what’s going in the class if you don’t follow up. Those are great tips! I found that not lingering around made it easier on both of us. Yes. yes. yes. The only thing I would add is that YOU are your child’s biggest advocate. If you don’t stand up for your child… noone else will. Be informed. Get involved. Listen. Love. The expectations are so different now. When I was a child, only 2 kids knew how to read going into kindergarten…out of two classes. As a kindergarten teacher for 9 years, I have to say you have a great list to help ease parents into such a momentous decisions. Great tips. I think stay strong is the most important one. It is scary to send our babies off into the world on their own but we must trust they are in good hands and show them how great this is. Even if that means going home and crying until you can go pick them up. 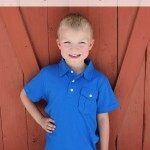 My last baby is going to Kindergarten in 2 days. (sniff) I’m trying hard at staying strong but I can’t promise I won’t cry after I walk away from the school. haha I love that you’d like to record every minute of this precious week. I still wish I could be a fly on the wall when my girls go back to school. 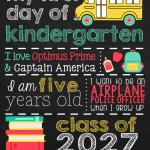 Kindergarten is a huge milestone, especially if your little one has never been to school before. My 3 girls started in preschool. They wanted to be with other kids and have always loved learning, so kindergarten was just another school year… that first week is always filled with mixed emotions: excited about everything new and sad about leaving behind the teachers and fun things they did the year before. Stay strong, you’ll be fine 😉 Just keep those communication channels open with teachers and your little one. These are great tips and so timely. I wish that someone would have sat me down and told me these things when my first (back in the stone ages) went to Kindergarten. It was still hard though, even years later, when my youngest went to K’garten just three years ago. Of course, school starts in just a little over two weeks for us, so I imagine there will still be tears again . . .mine. These are great tips. Our youngest just went to Kindergarten this morning! He was so excited that it was hard to not be excited for him! Great tips! Having open communication with the teacher and your child is a huge bonus to making sure the year is going smoothly and you can relax a little. Mine starts next year and I am already freaking out! I am grateful for these tips! These are such wonderful tips! 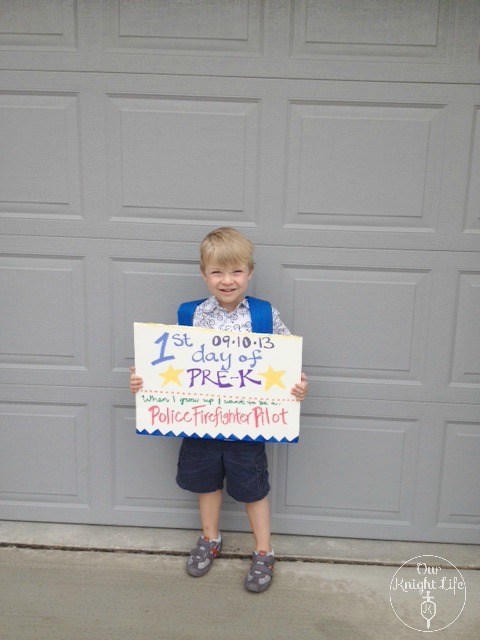 The first day of kindergarten went smoothly for my son. It’s hard to believe that he is now in third grade. It is harder on us!!! I remember the first time my daughter went to school, I probably cried more than she did. I agree communication is key though, with the school, the teachers as well as classmates parents. Kindergarten is such a hard year! My kids are in 1st and 3rd grade this year and I’m glad that we don’t have kindergarten with #3 for like 4 more years. 🙂 I agree that getting involved is key, it can make or break your child’s experience and yours as a parent.